Talking about high-end smartphones in our parts of the world, Lenovo is hardly the first name that pops in your head. The Chinese maker's first two attempts at a premium handset have been hard to find outside of its homeland, but Lenovo appears to have enough faith in the Vibe Z2 Pro to make it a truly global phone. Perhaps climbing to the number 3 spot in China was the confidence boost they needed to try and storm the international smartphone market. 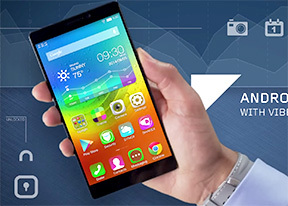 The Lenovo Vibe Z2 Pro certainly seems fit for the job. It features a 6" QHD IPS LCD display and a Snapdragon 801 chipset with 3GB of RAM, all packed in neat-looking metal body with very little screen bezel. As a result, the Vibe Z2 Pro is actually quite compact for the massive 6" screen it flaunts. 2.1mm shorter than the 5.5" Apple iPhone 6 Plus is impressive whichever way you look at it. Here's the rest of the key specs. There are virtually no deal-breakers we can spot right off the bat. The lack of a microSD card slot can turn off quite a few users, but the base storage option of 32GB should still be enough for most. And while the battery isn't user replaceable, it's got enough juice to make you forget about it. With a thin waistline of 7.7mm, the Lenovo Vibe Z2 Pro makes a great first impression, while the metal body and QHD screen are likely to keep you happy in the long run. We'll see if the Vibe Z2 Pro delivers on its promises when we are done with the review. Let's dive right in and start finding out what Lenovo's smartphone fleet commanding admiral has to offer. I am doubting between a Droid Turbo or this one, which camera quality is better? Also, do I need to expect hardware issues on the Z2 Pro or not? What a comprehensive review! I especially liked the comparisons to other similar phones. I think I shall get this one.